It’s hard for me to really say this is a post about Milan because quite frankly, we didn’t see much of it. When we originally planned on stopping there, it was definitely, a stop over. We were going to go to Venice on our way up and then stay in Milan two nights, but we were just too tired to try and squeeze Venice in. I’m sure it’s easy for you to think, “Man, they were so close, how could they possibly skip Venice? 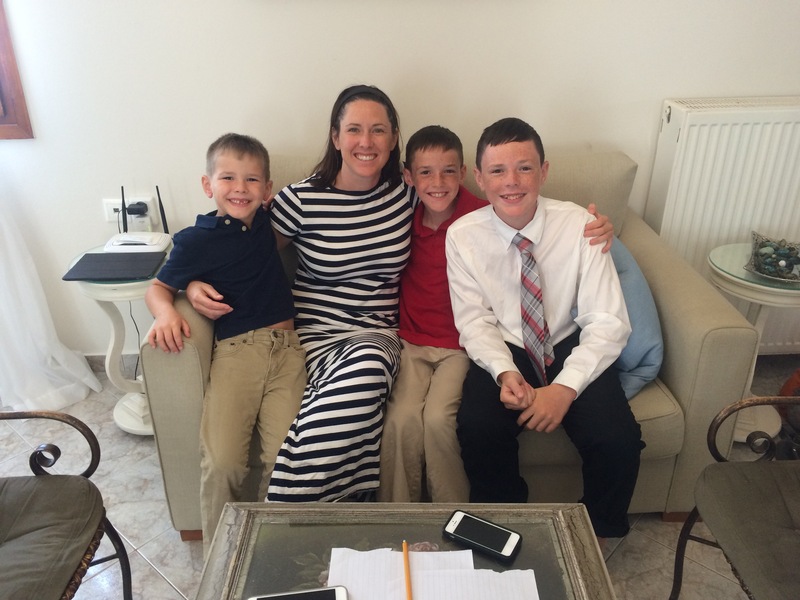 !” To that I say, “Try backpacking around Europe for 6 weeks with three kids and see how you feel then!” Plus, Jeromy and I had been to Venice just a few years ago and the kids were done with cities, ready for a break. It would have just been forcing it, and we have found on this trip, and in life, if you have to force something it probably isn’t a good idea. 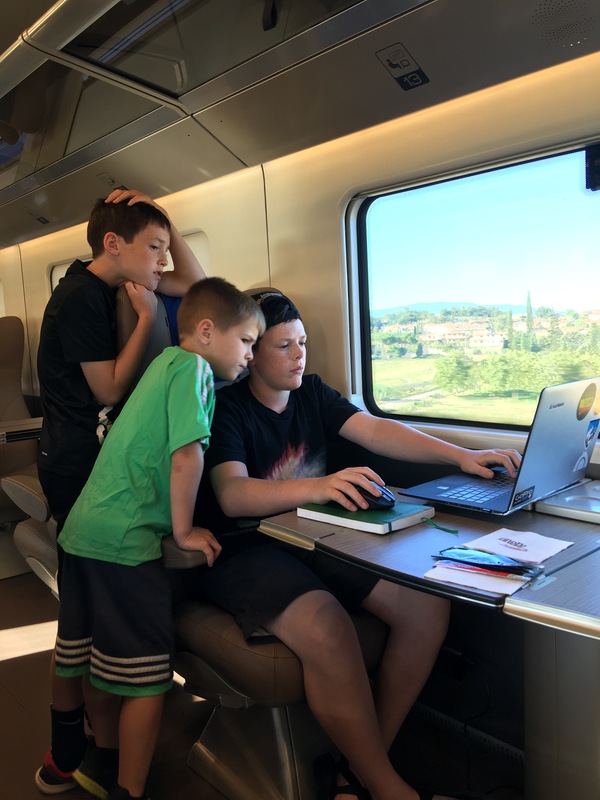 The boys on the train ride up to Milan from Rome. Great views of the Italian countryside, not that they could tell. “La Mela Reintegrata”. 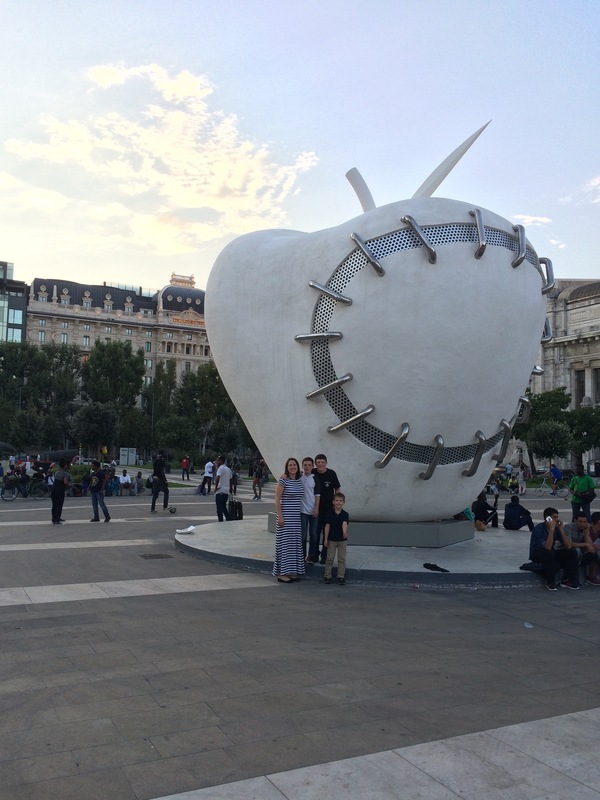 The translated name of this statue is “The Reintegrated Apple.” This statue was just outside the train station and I thought it was very clever…even as Jeromy took a picture of us with his iPhone. Also, it is a long way from Rome up to Switzerland and we needed a good stopping point. When we realized the next day was a Sunday we decided to add another night so we didn’t have to spend Sunday traveling. Why? You may ask. It is in respect for the Sabbath Day. 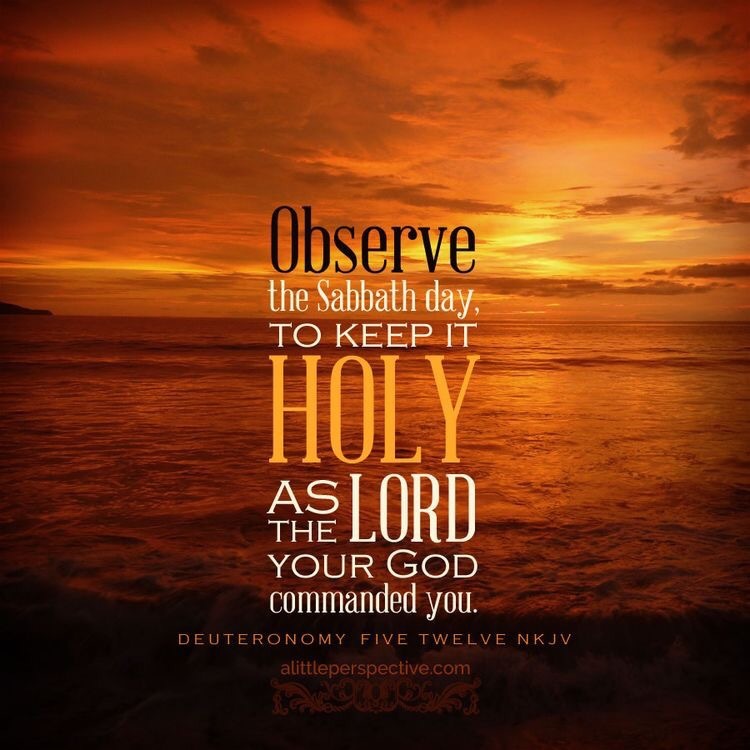 Anyone who knows our family probably knows that we are members of The Church of Jesus Christ of Latter-Day Saints and like most Christian churches we believe in keeping the 10 commandments, one of which is keeping the Sabbath Day holy. While everyone has a little bit of a different interpretation of what that means exactly, a simple definition we use is “The Lord’s day set apart each week for rest and worship.” I thought I would use this post to let you know how we spend every 7th day on our adventure around the world! Since I am pretty far behind on my blog (We are busy and wifi can be sketchy! ), I’ll be talking about the first 3 months of church on the trip, not just up to the point of when we were visiting Milan. 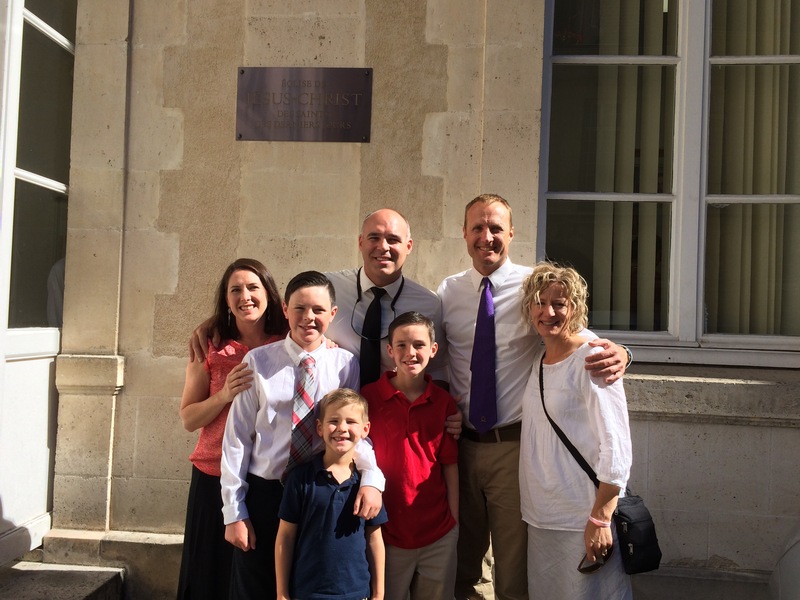 As a family, we realize we are so blessed to have this opportunity to travel the world together, and we know who to thank for that…Our Heavenly Father and his Son Jesus Christ. So, as we planned our trip, we knew an important part of our planning was finding a way to continue to keep the commandment of “Keeping the Sabbath Day holy.” This was brought home to me as I sat in church one Sunday a few months before we left, listening to a talk on this very subject. When the person was speaking, they quoted a scripture I had not heard before in Doctrine and Covenants 59:16. In the lead up to this verse it talks about how we should keep the Sabbath Day holy, and then comes many verses of promises we will receive if we do so. One promise struck me to the core as the speaker said it, “Verily, I say, that inasmuch as ye do this, the fullness of the earth is yours…” What? That is awesome! That is just what we want! The fullness of the earth! And I have to say that as we strive to keep this commandment, that is what has been happening for us. To do this, we tried our best to not plan any major travel days on Sundays, not plan any major sightseeing on Sundays, and to attend church wherever we could. We knew that if we did this and made this effort, that we would be blessed. It seems like by cutting a day out of every week we would be seeing less, but I truly believe our abilities are being multiplied on the other days so that we are actually seeing more. 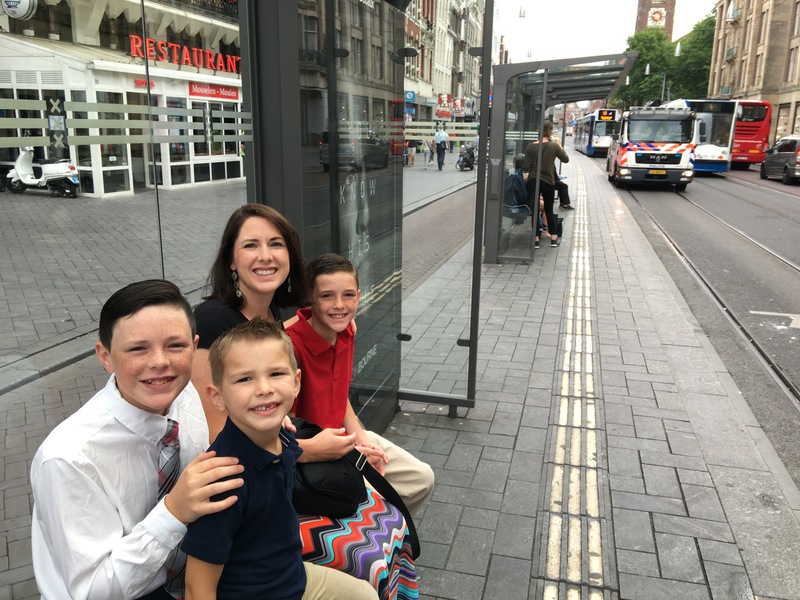 Waiting for the tram in Amsterdam on our way to church. Now logistically, the idea of finding a local congregation of our particular denomination might seem difficult. There is a talk from President Henry B. Eyring where he talks about how his father, many years ago, really wanted to go to church when he was in a foreign country but he didn’t know where to go. So he decided to say a prayer and start walking. He wandered around praying and walking until he heard singing. He followed the voices all the way to a local congregation meeting in an apartment. We are lucky to not have to rely on such drastic divine intervention to find a church each Sunday. We just login to our LDS Tools App and we have the location, time, and language spoken of all the meeting houses in the area. We can even link to Google Maps to get directions! I can’t believe how easy it actually is (although public transportation has made us late a couple times). Using this fabulous technology, we have easily been able to attend church in 6 countries. Our first stop was in Selfoss, Iceland in a small upper room in a strip mall. There were probably 20 people there. 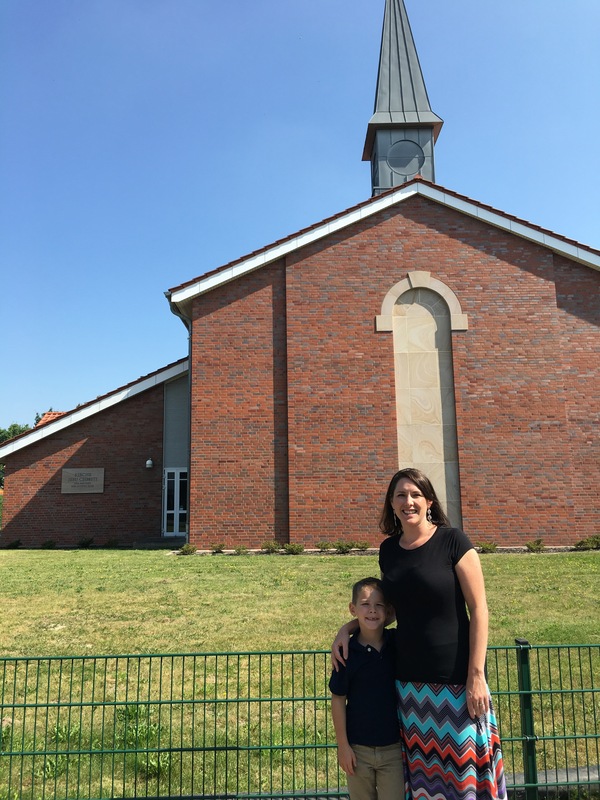 We assumed we would not be able to understand much of the services we attended (obviously they were held in their native language), but we would be able to partake of the Sacrament and worship in our own way. So you can imagine our surprise when we walked in and were immediately greeted by English speaking missionaries from Arizona and Calgary, asking us if we would like headphones for translation of the services into English. Yes! 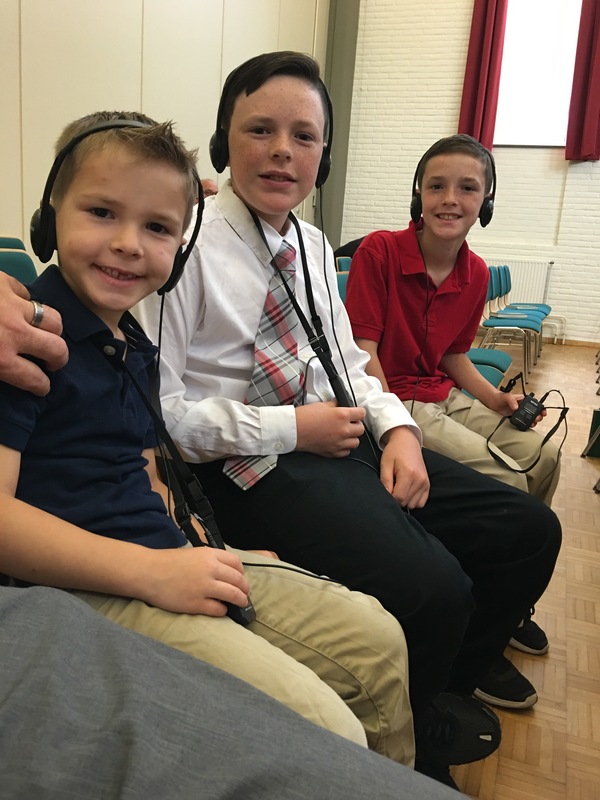 We each got our headset and listened while the missionaries translated, real-time, into English. I imagine this is very difficult, and over the months some have been better than others at it, but it has been such a blessing to be able to understand the messages being given. I think my boys pay closer attention on the road than they do at home! As we attended different congregations across Europe, we were so pleased to have that welcoming experience repeated everywhere we attended. Each congregation had someone who could interpret for us and in Paris, they had multiple languages going so they had everyone with headphones watching from a separate room. It was so funny to hear the hymns being sung in at least 4 different languages at the same time. The size of the congregations varied greatly, with Iceland being the smallest and Paris being the largest so far. In each congregation we felt welcomed and received a little piece of home. Parker even got teased by a German guy for falling asleep in church! Just like if we were at home! We haven’t had the chance to stay for all three hours of church because as we split up into classes they aren’t able to interpret for us, but we are looking forward to an English speaking ward in Dubai and then in Africa! Of course, we weren’t always able to find a church close enough for us to get to and on those days we held our own church of sorts with each of us taking a different responsibility. Jeromy would ask someone to give a talk, we would sing hymns, Parker was in charge of teaching Sunday school (his favorite mode of teaching is for us to act out the stories from the scriptures), Luke was in charge of singing time (He taught us sign language to I Feel My Savior’s Love and we played his favorite game, Hot and Cold, to learn I Love To See the Temple) and Tyler gave us some great sharing time lessons on missionary work. It has been so fun to wake up and spend the mornings preparing to teach each other the Gospel! 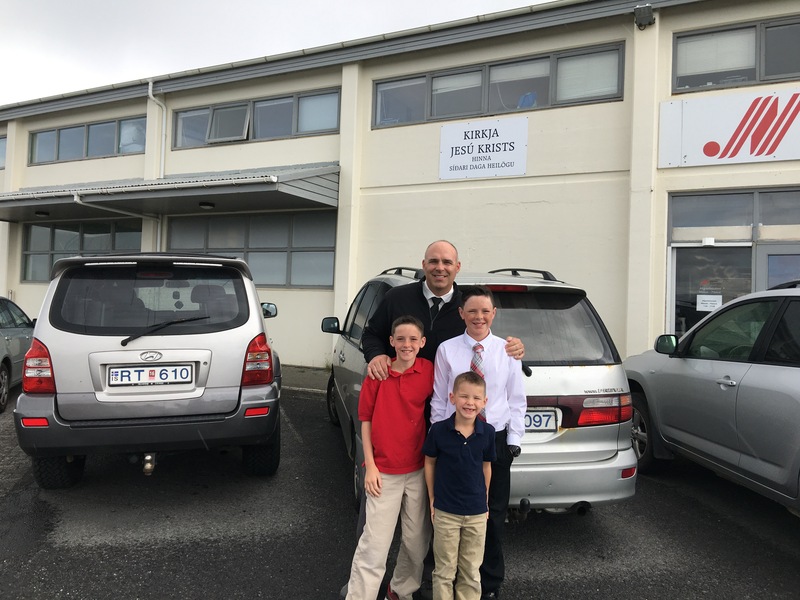 The boys love it, and it is giving them a greater appreciation for the efforts their teachers and others put in to provide them with great experiences at church when we are at home. What a wonderful experience it has been to be taught by my children! Not only being able to worship has been great, but having a day to physically rest has been a blessing we didn’t anticipate before leaving. We have been walking miles upon miles everyday, trying to make the most of our time, and we are exhausted. Knowing we have a day to rest coming up really helps. I think the boys consider Sundays one of their favorite days now. They know that besides church, they don’t have to do any sightseeing or schoolwork. We will stay home and literally rest and if we try to sneak something in, they are quick to remind us that it’s Sunday and we shouldn’t have to do anything! 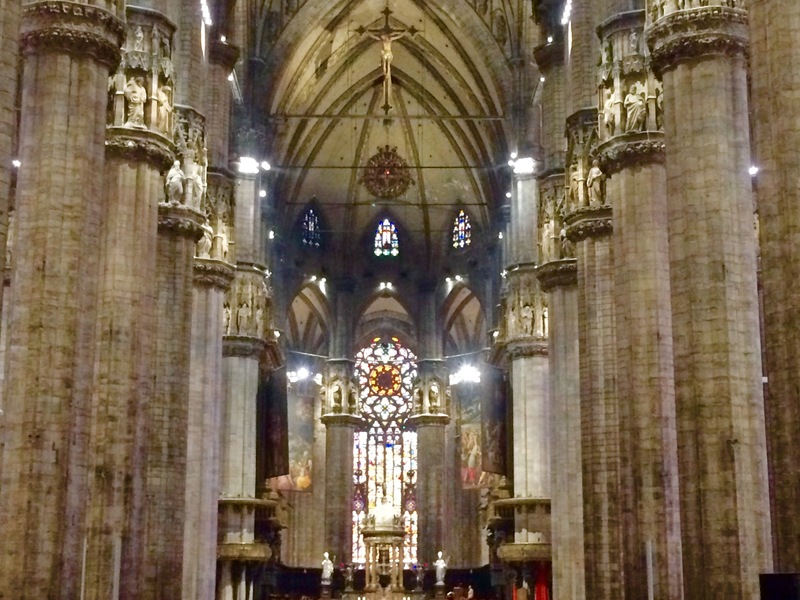 While we didn’t see much of Milan, we were able to see one of it’s great treasures, the Duomo. It was magnificent! Probably the most impressive church we saw in Europe. 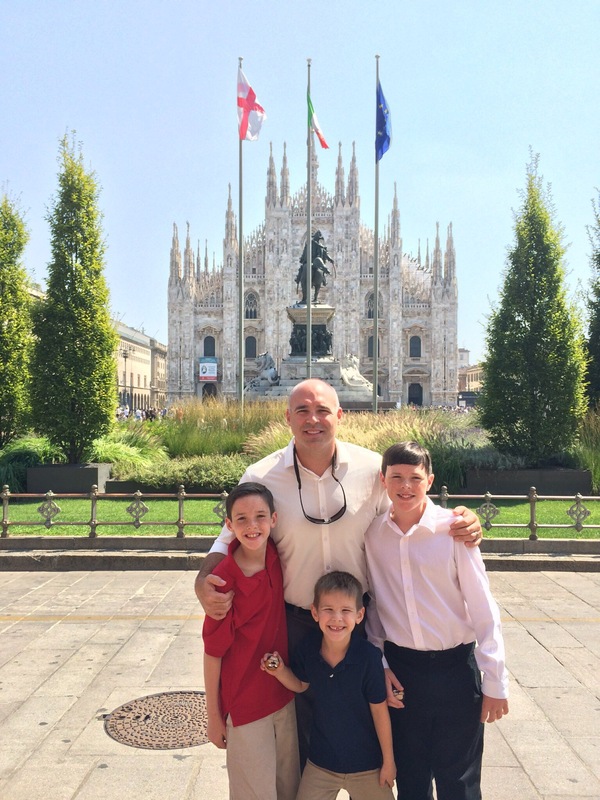 We will have to make our way back to Milan someday and explore the city further, but for the time being we were grateful for a nice apartment to sleep in and a day of rest and worship. Jocey you are the best. Jeromy, you are alright ;). Thank you for the example you set for me and so many. We love you guys. I’m a business coach and good friend of your dads. On our last call, he couldn’t help but gush and show his pride about you, your family, your accomplishments and especially this adventure you’re taking. Being the father of 3 young boys myself, I love what you’re doing! Thanks Matt! Hope you enjoy it! Great post and great insight! What a great post – it’s amazing that regardless of where you worship in the world, you’re welcomed by the same spirit of love and family.